Of our past eight champions, seven have been women. Will this outchange continue? Doesn’t look too promising – I was hoping Lily would take a stab at that penultimate clue for $2,000, because it was the only way she could put herself in contention. 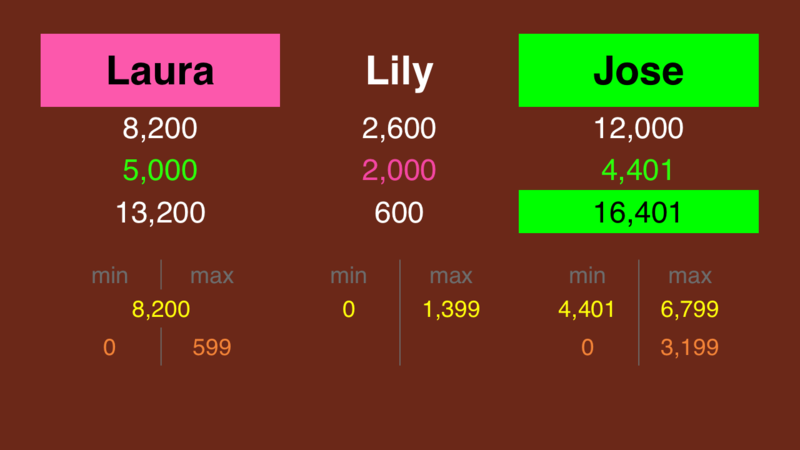 Lily has less than the difference between Jose and Laura, so she is eliminated from winning (barring a Christina wager out of Jose). If Laura doubles her score, she’ll have 16,400. To cover this all-in wager, Jose will need to wager 4,400. An incorrect response with that wager will leave Jose with 7,600. To stay above his total, Laura can wager up to 600. 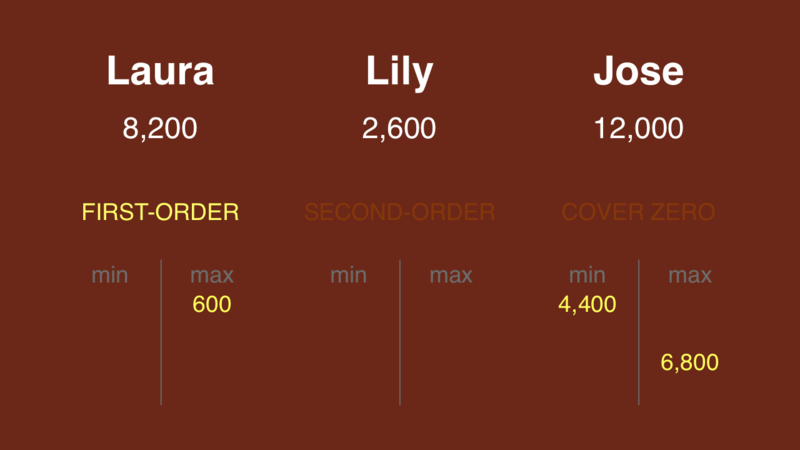 A successful doubling will put Lily at 5,200. To stay above her, Laura can wager at most 3,000 (but that’s irrelevant here). Jose could wager at most 6,800. If Laura makes the rational maximum wager of 600, Jose will need to wager 3,200 to stay above her. 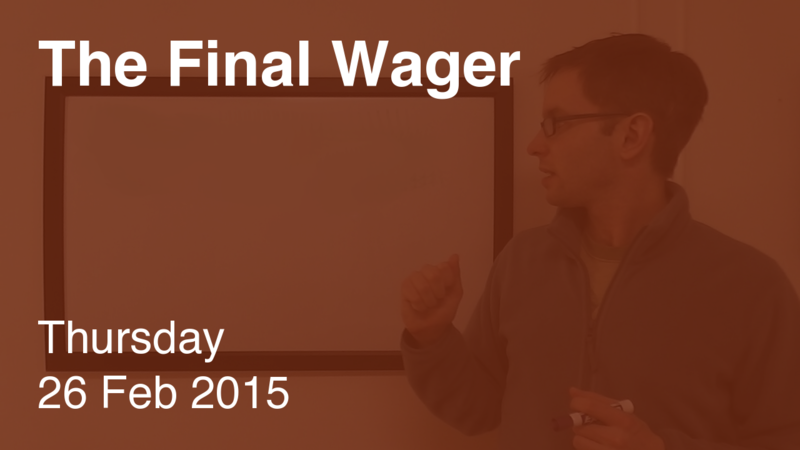 If he’s wrong with that wager, he’ll be left with 15,200. In that case, Laura would have to wager 7,000 and respond correctly. Since that 7,000 will put Laura out of contention if she misses, she might as well bet the farm. 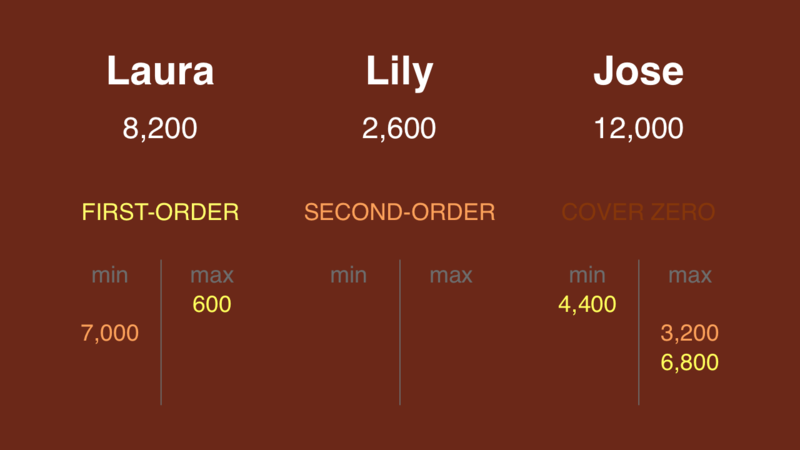 The 7,000 wager is also why I suggest Lily cap hers at 1,399. Laura fails to cover a smaller-range wager out of Jose, which is why she gets the pink. Maybe a few of you got tonight’s Final because of my second-ever Fact Primer. There’s a new entry headed your way tomorrow!